Friendly Soap create bars that clean effectively and comfortably, while treating you to a delightfully aromatic blend of natural scents. Lather this soap up and gently massage the skin for a truly relaxing bathe. You’ll feel rejuvenated by the aromatic peppermint essential oil. The smooth, relaxing texture of the soap is achieved with poppy seeds, making this bath soap ideal for anyone with sensitive skin. 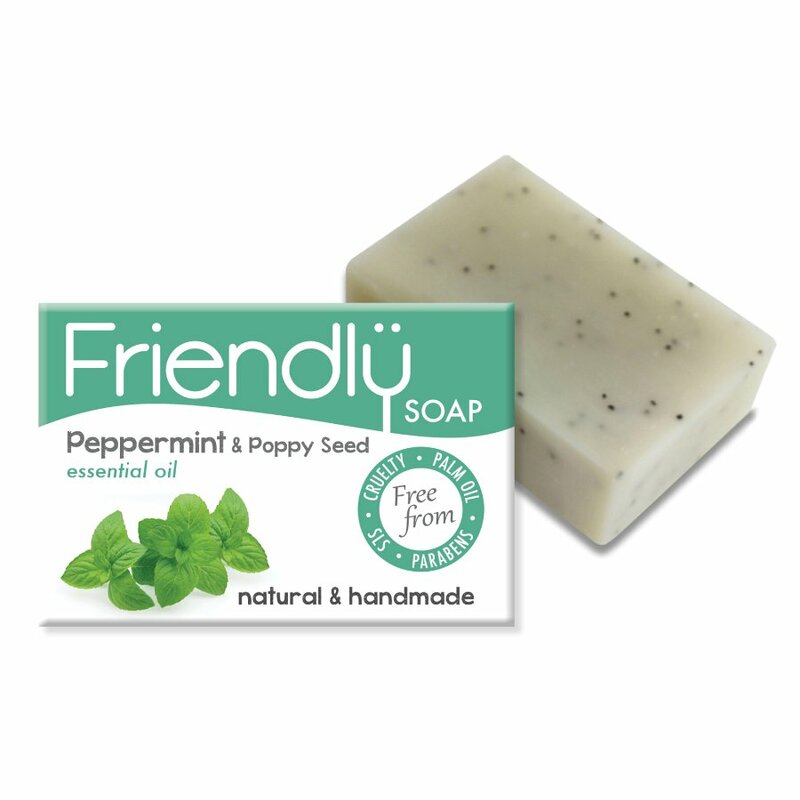 This bath soap from Friendly Soap is both friendly to your skin and friendly to animals. There are no animal ingredients or animal testing involved in the production of any Friendly Soap products. 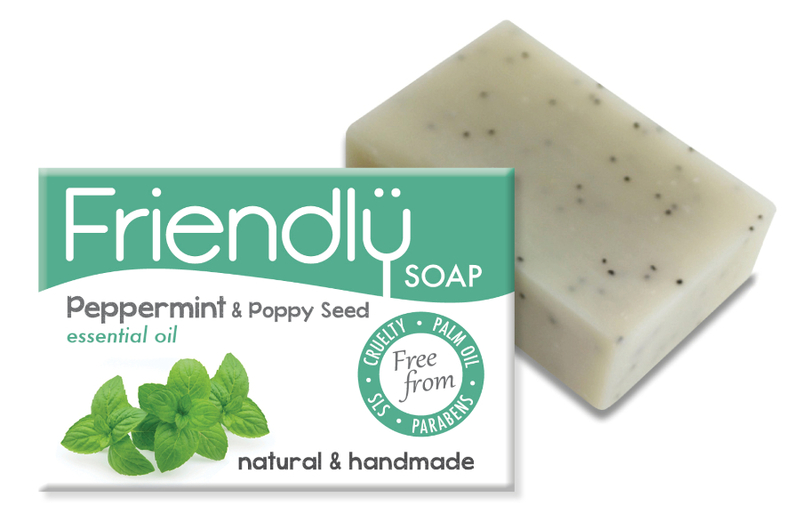 There are currently no questions to display about Friendly Soap Peppermint & Poppy Seeds Bath Soap - 95g.